There are hundreds of wonderful, free writing resources available online, yet most college writing classes in Oregon still use expensive textbooks. This book is the result of an exploration into why this is still true: what does it take to replace those comfortable, paper texts with something much less expensive and yet equally valuable? The answer has been that it takes input: from composition instructors, from librarians, from those who have collected and composed texts before, and from students, who have been frustrated by textbook prices for longer than most instructors have been paying attention. The goals of this book are simple: To provide a low-cost, high-value resource that addresses the major outcomes of Writing 121 statewide. To that end, inside you’ll find discussions on how to analyze writing assignments and readings; how to get started writing an essay; how to research ethically and thoroughly; and how to use different genres of writing to accomplish your goals. This book collects freely available works under a Creative Commons license. All works here are adaptable; all works here are printable and downloadable for free. This book is what any instructor or student will make of it: it can be cut down to only include certain chapters or expanded to include examples as necessary. This is also very much a living text. As its coordinator/collector/editor, I would welcome suggestions on its improvement, from minor line-edits to major revisions. Contact me any time at coordinator@oregonwrites.org to get involved — and student writers, that invitation is certainly open to you, as well! All-in-all, I hope this text serves as a starting point for conversations about and in writing. Welcome to College Composition! This book would not be possible without the financial and advisory support of Open Oregon Educational Resources. A 2015-2016 grant made this book and the Oregon Writes Spring 2016 conference possible. Special thanks to Amy Hofer, Coordinator of Statewide Open Education Library Services, whose encouragement made the conference and collaboration possible! 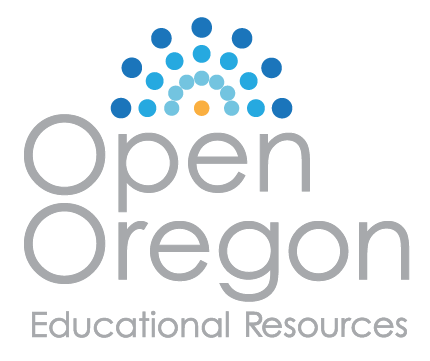 OpenOregon.Org is a wonderful resource for students and instructors around the state. Linn-Benton Community College also provided logistical support and media services for the conference: huge thanks to Steve Smith, director of ELearning, and Lori Rowton in Media Services for their assistance on the technical/administrative end. Finally, a big thanks to the colleagues statewide who contributed through conference attendance, e-mail correspondence, or informal conversation throughout the year. Oregon is lucky to have so many committed and caring professionals working in English and Writing positions. To every extent possible, this book strives to be as inclusive and accessible as possible. If you are re-using this content for your own class, please consider maintaining the formatting when possible to ease use for those with screen-readers or other assistive technology. For example, formal headings are used to make the content easily searchable by screen readers. The language used in this book will generally accept the singular “they” as an acceptable and inclusive pronoun. For more information on the reasons behind this decision, please consult The American Dialect Society on why the singular they was the 2015 Word of the Year. Oregon Writes Open Writing Text by Jenn Kepka is licensed under a Creative Commons Attribution 4.0 International License, except where otherwise noted.